The Union Hotel Brooklyn celebrates New York City. Built with 19th century brick and mortar, The Union pays tribute to the factories and warehouses that built New York into the greatest city in the world. The Union expresses the warmth of home and the excitement of the world’s crossroads. 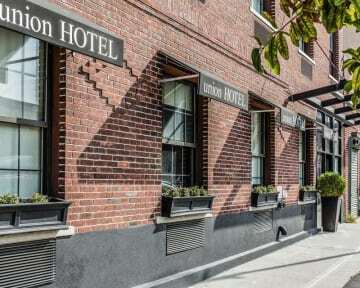 Amenities include: Free WiFi, Free electronic version of New York Times, Smoke-free hotel. 10 minutes to Manhattan and a short walk to the best restaurants and nightspots in Brooklyn, The Union is your new, New York hotel. 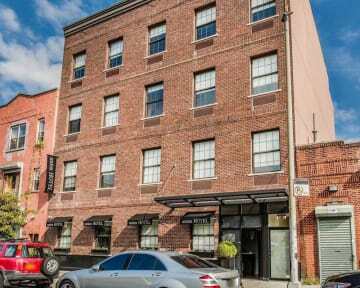 Located on border of Park Slope and Gowanus neighborhoods of Brooklyn, our hotel is near the Brooklyn Bridge and Barclays Center, and it’s just a quick subway or taxi ride away from Manhattan, attractions include: Prospect Park, Gowanus Canal, Fulton Mall, Grand Army Plaza, Brooklyn Museum, Brooklyn Botanical Garden, etc. Clean Cozy Queen and Queen bedroom in Park Slope. Private bath and shower, daily housekeeping upon request is included along with high speed WiFi and a 32' LCD with HBO. The subway is nearby and 24hr reception await. Microwave and coffee are available in a shared space of the Union Hotel Brooklyn. Guest rooms feature: Flat-screen TV with Premium cable channels, Hair dryer, Premium linen. The Rooms are Tiny, but compared to Manhattan I assume you get more value for Money in Brooklyn. If you don't mind walking 10 min to the subway and taking it to Manhatten I would recommend to stay here. The place across the street has amazing mexican Food.